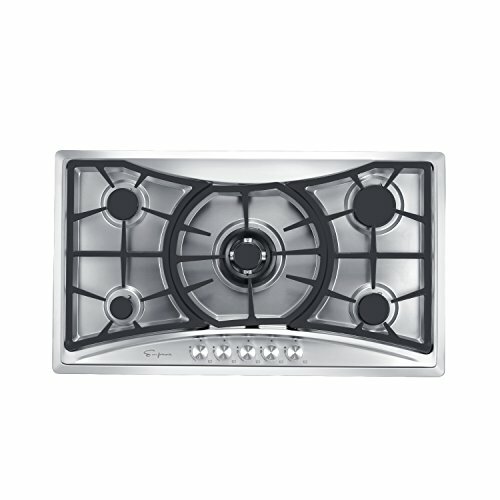 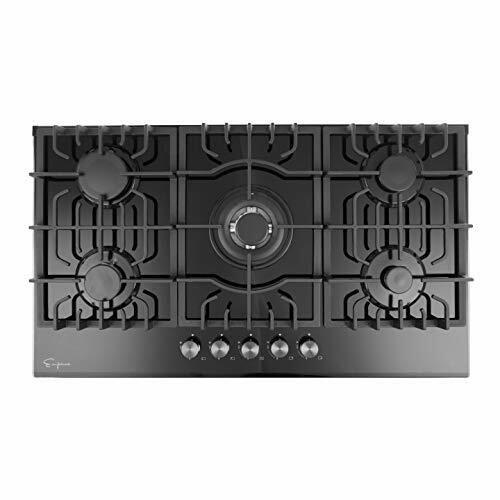 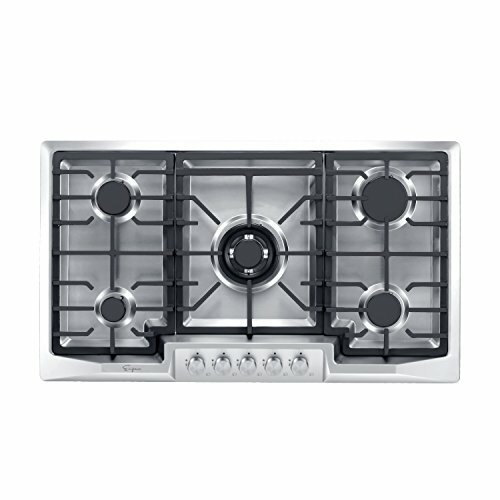 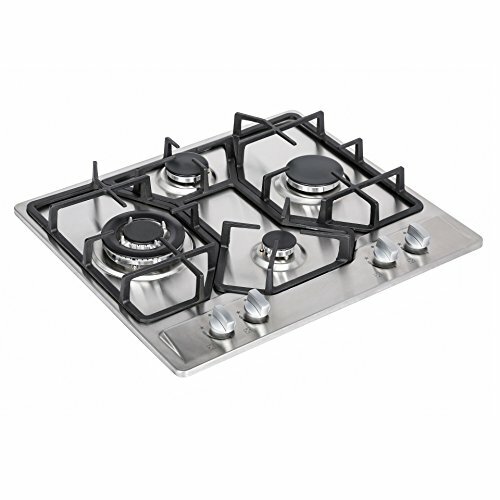 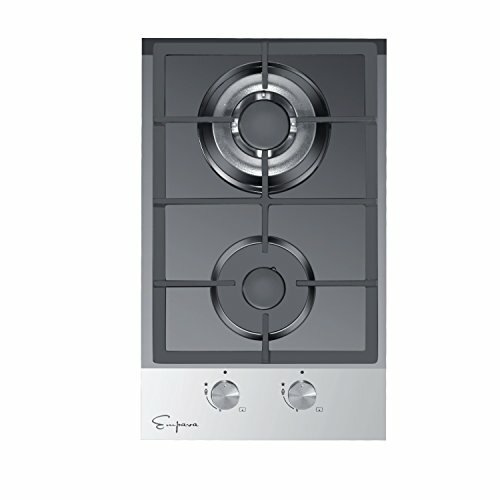 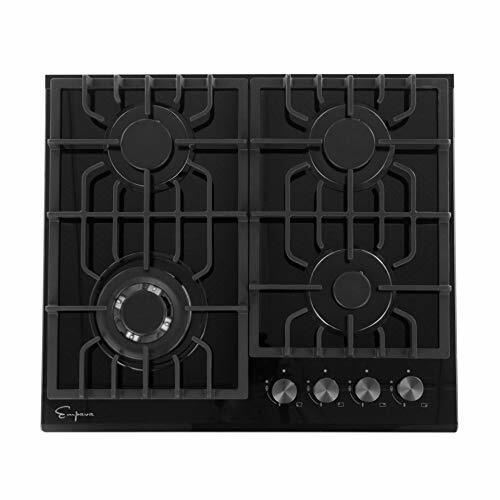 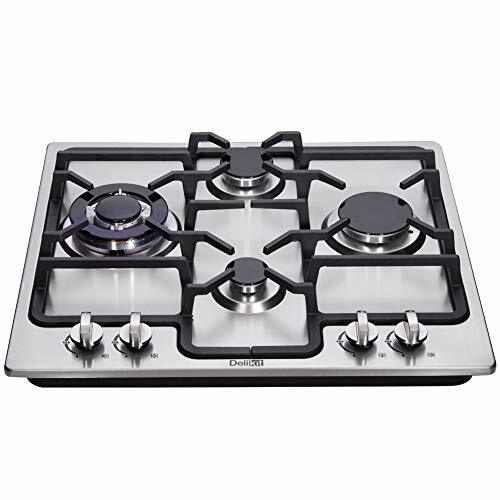 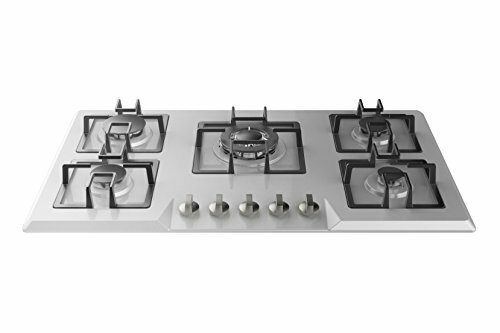 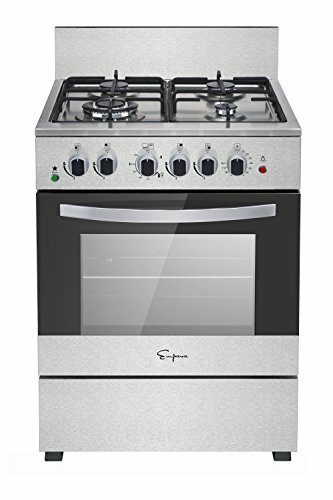 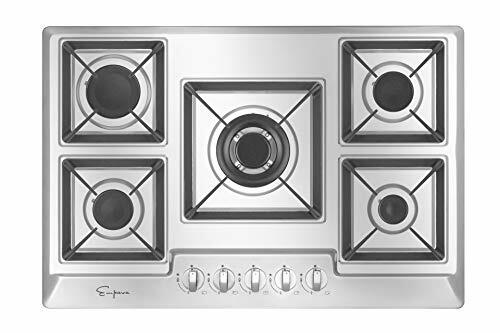 AFFORDABLE QUALITY - Made of 100% stainless steel with Italy imported burners and heavy cast iron grates, the Empava recessed stainless steel gas stovetop will provide you with a reliable cooktop for years to come. 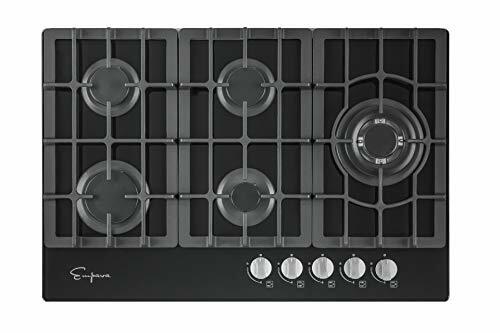 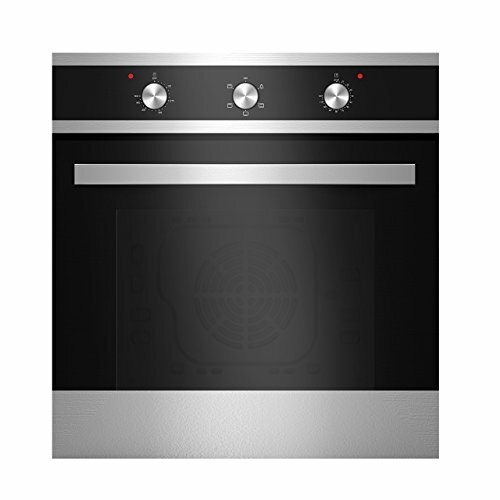 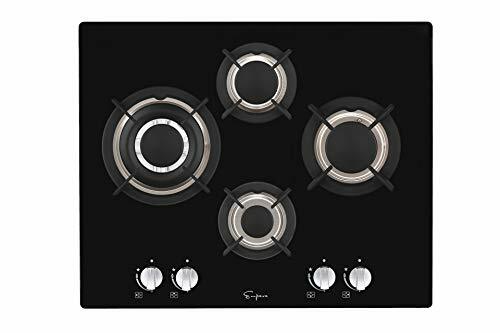 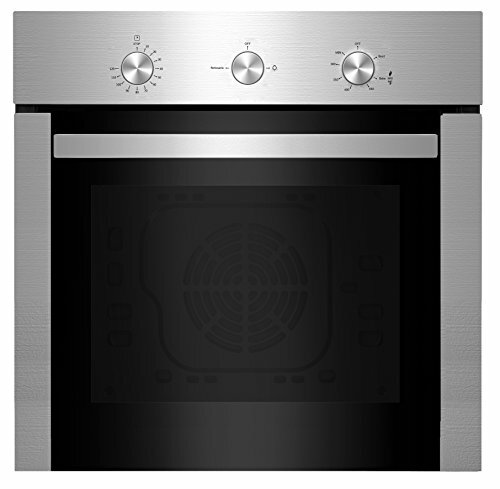 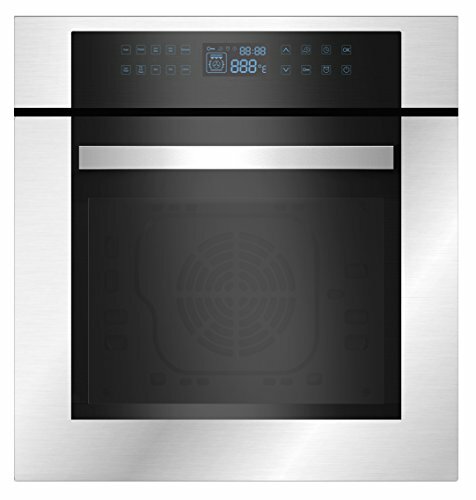 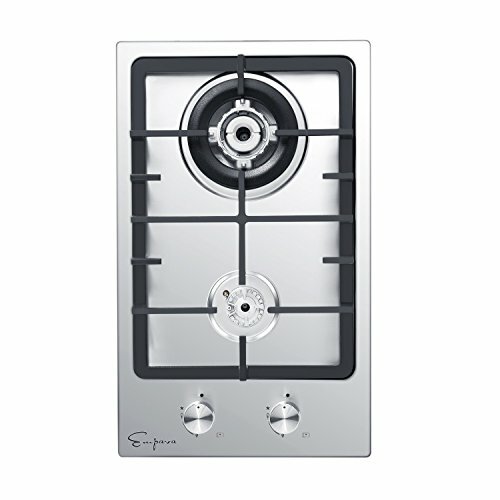 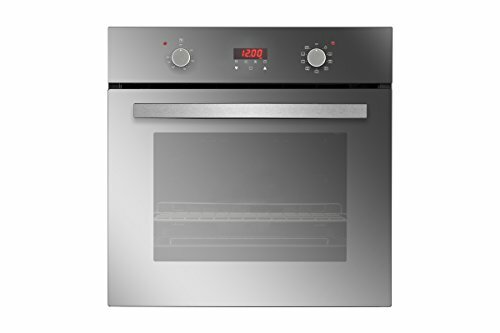 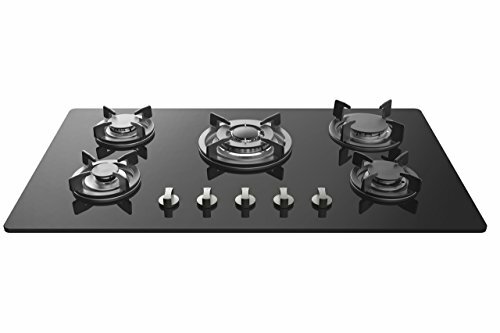 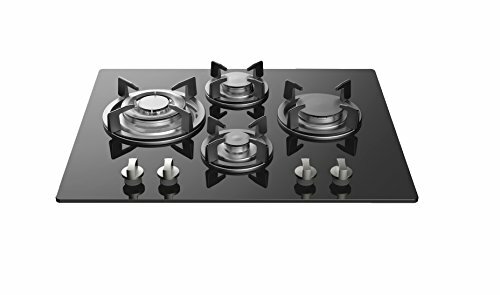 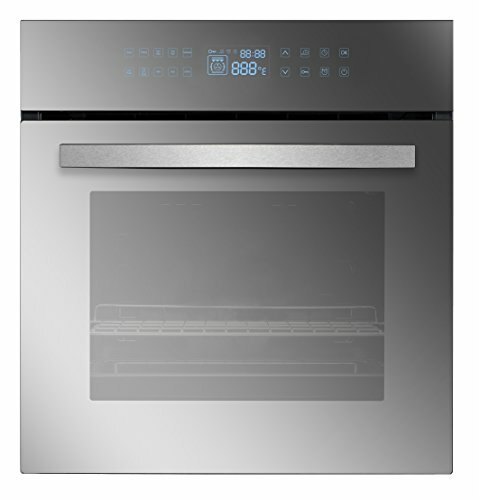 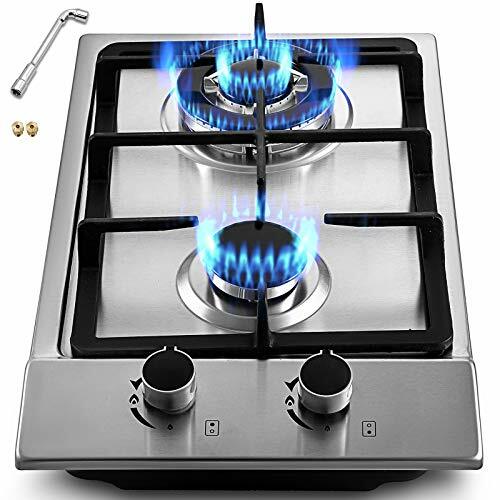 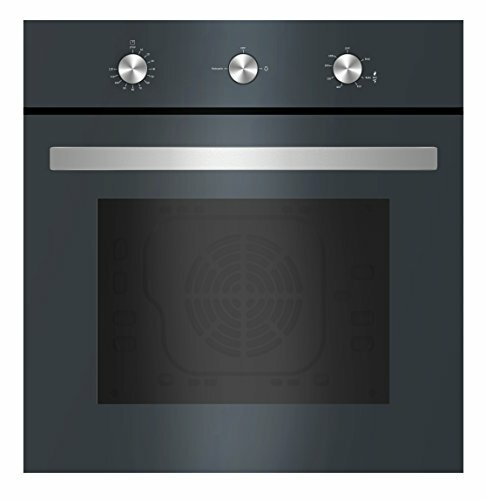 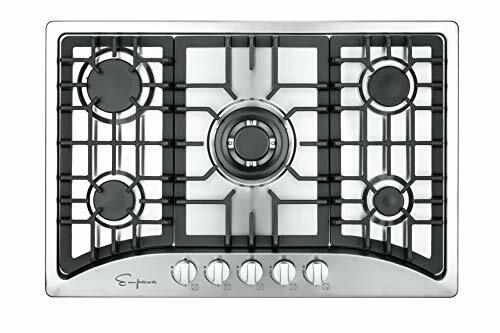 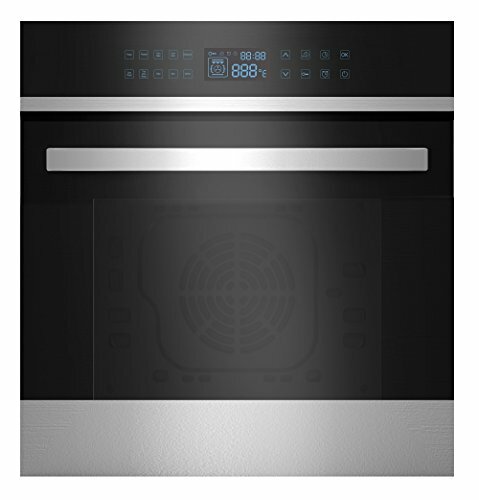 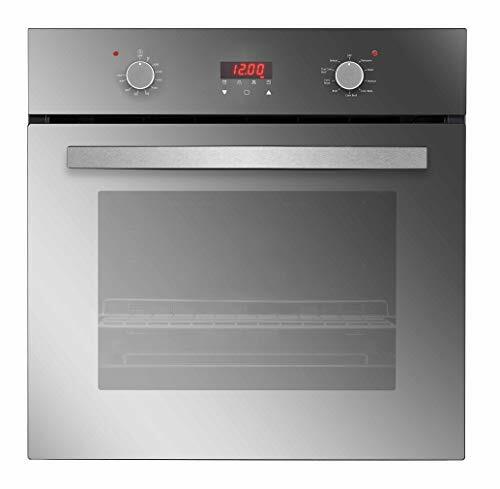 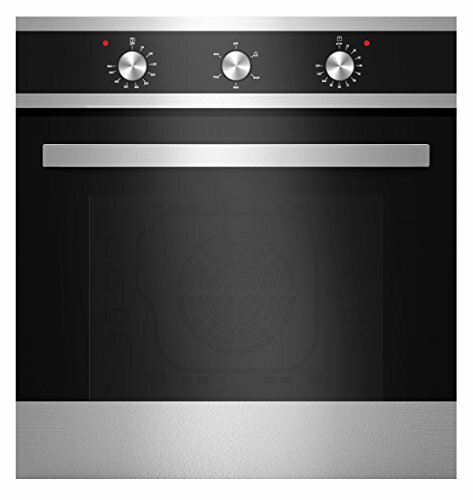 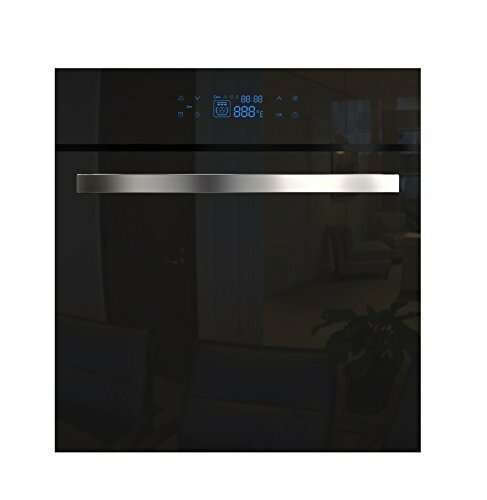 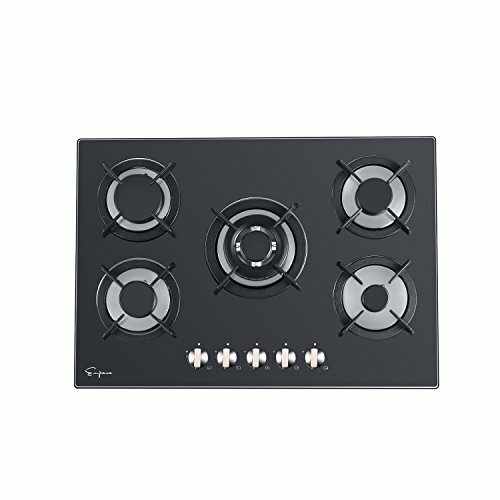 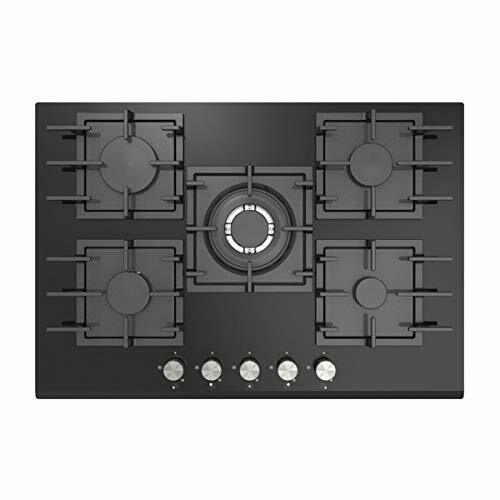 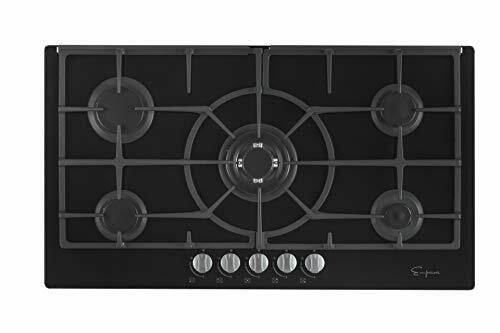 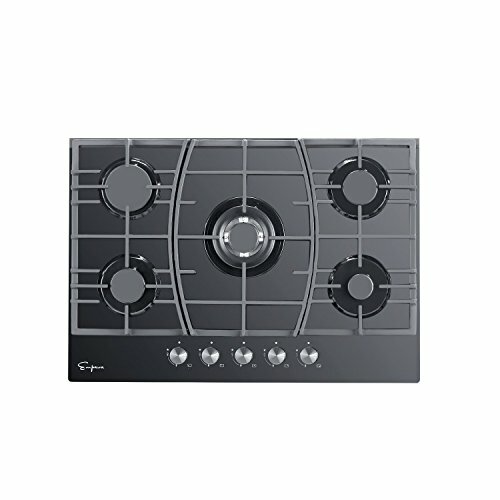 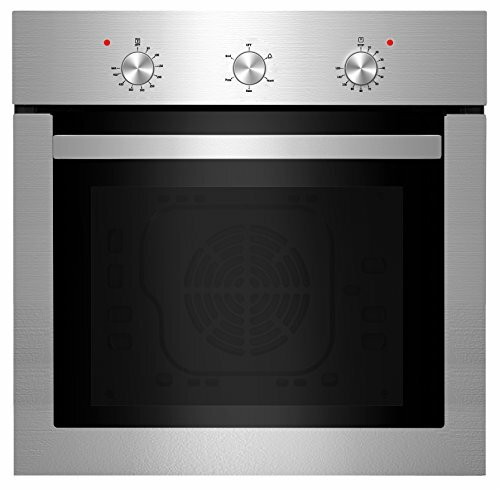 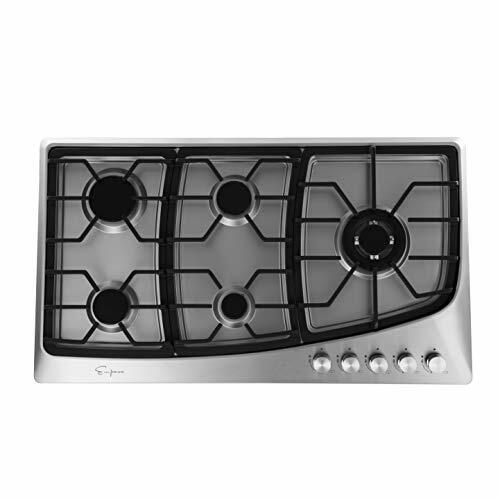 The 5 burner Tempered Glass gas stove top by Empava is a plug and go unit to make installation fast and easy and features thermocouple protection, dishwasher safe grates & knobs, and heavy cast iron grates. 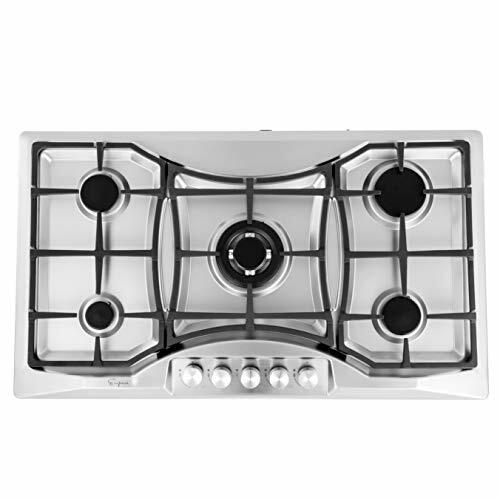 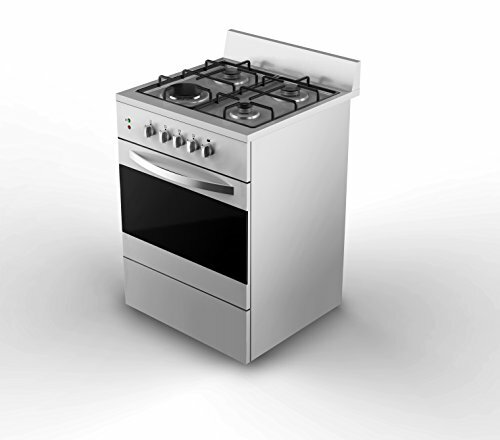 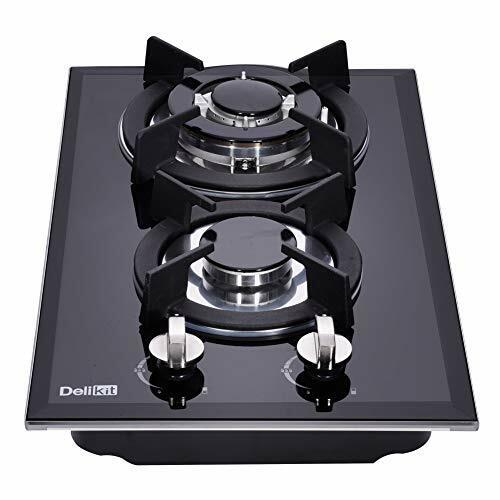 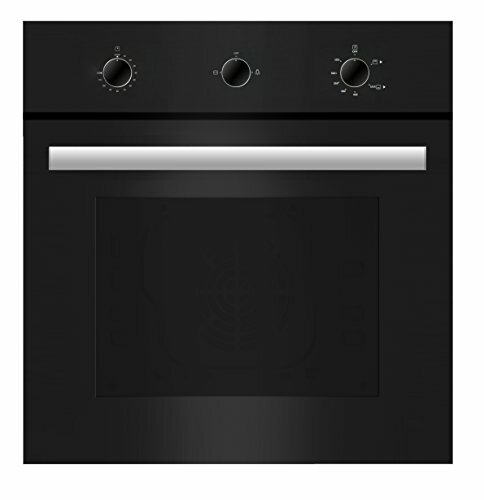 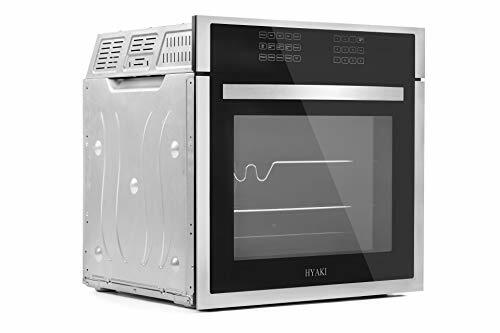 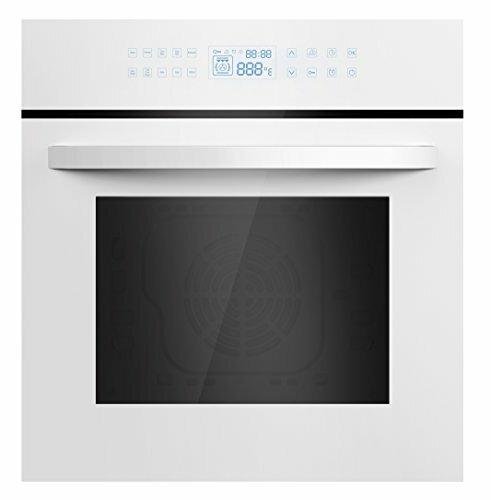 SPECIFICATIONS - Product Dimensions: 33.86 inch L x 19.69 inch D x 4.33 inch H- 5 Burners: Triple ring burner 11942 BTU, Rapid burner 10236 BTU, 2 x Semi rapid burner 5971 BTU, Auxiliary burner 3412 BTU - LPG / NG Convertible and works W/O electricity. 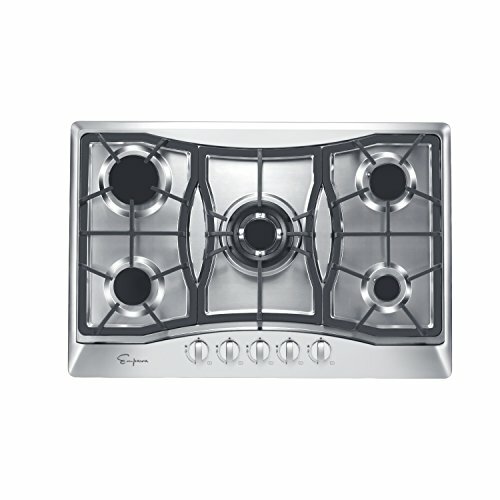 The Empava cooktops are compatible to install above any Empava 24" Under Counter Single Wall Ovens, or under any Empava range hoods.